On Flagstaff, Bigelow Range in the background. Wind sculptures on the lake. That pretty much summed up the start to our day: bluebird sky, no wind, late winter temps and nine happy snowshoers ready to go for what turned out to be a glorious day on the trail and at the Hut. We had the pleasure of having Savannah Steele, the Maine Huts & Trails trails manager, join us for the day. We met at the Long Falls Dam Road trailhead around 10am and soon headed out on the trail. For the most part, the trail was broken out, but due to the “lake effect” there was a lot of drifting which made navigating a little tricky. Fortunately, we had Savannah along who knows the trails like the backs of her hands and guided us in the right direction. 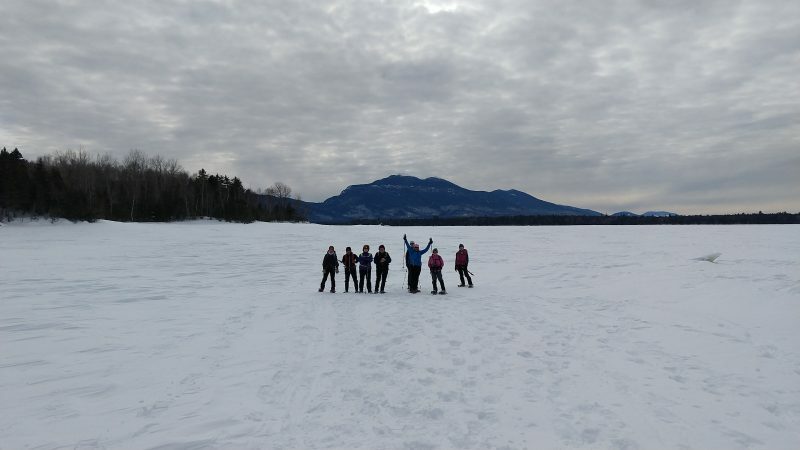 As the lake was frozen and beautifully covered with whirls and coils of wind-blown snow, we snowshoed right on the lake where we were treated to magnificent views of the Bigelow Range, Picked Chicken Hill and Blanchard Mountain. and it was very informative. Lunchtime was leisurely as the Hut is cozy and warm, but we finally broke out of our food stupor and headed back out for the hike back. Clouds started to roll in, no doubt a harbinger of the approaching storm predicted for the next day, which gave our late afternoon vista an entirely different appearance. We took our time heading back while continuing to take in the beautiful mountain panorama. It was a beautiful day! Louise is the Maine Appalachian Trail Land Trust’s board secretary. In her day job, she’s the law librarian at Drummond Woodsum. 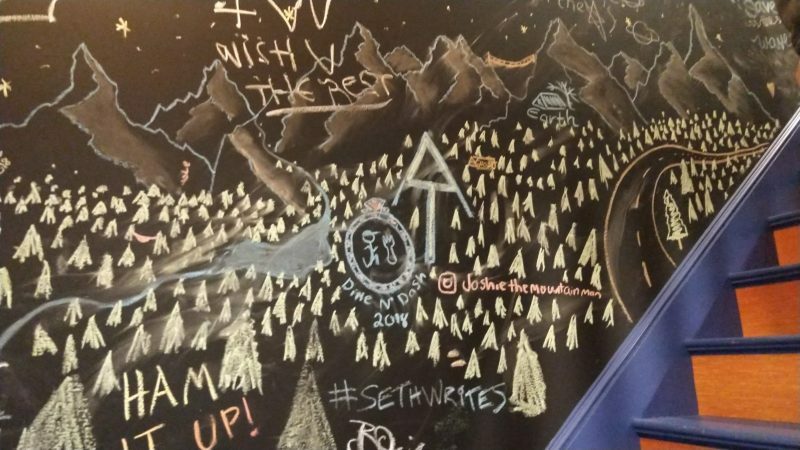 She joined the Board after becoming a trip leader for MATLT. She lives in Portland with her husband and their greyhound Tulah. 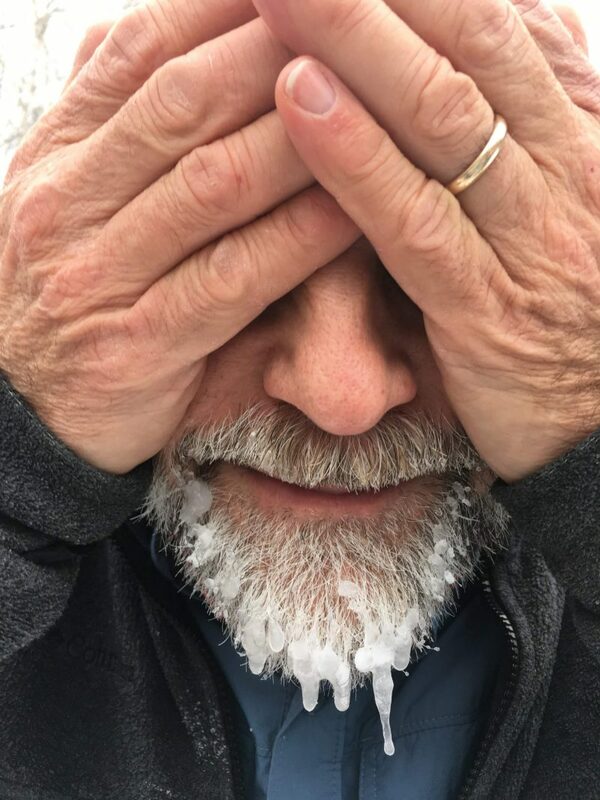 Winter can be tough in Maine. It’s cold, it’s snowy, it’s dark and all of it together can make life hard if you let it get to you. 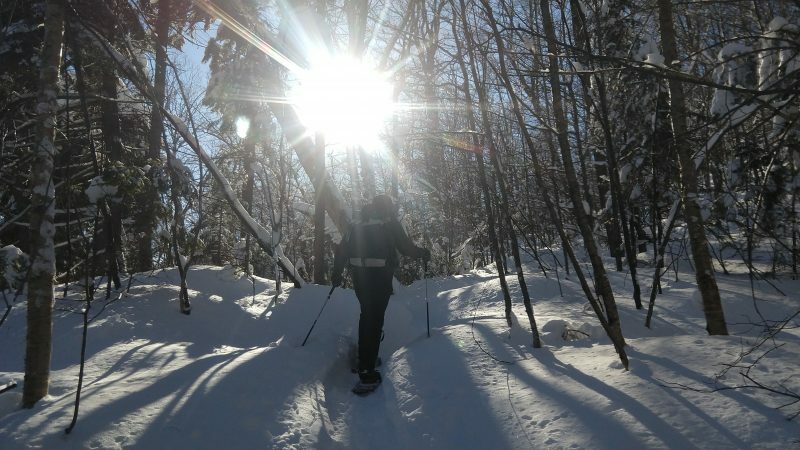 But there’s also something wonderful about winters on the A.T. lands of Maine where just making it through can be much more meaningful than doing the same thing in the summer. 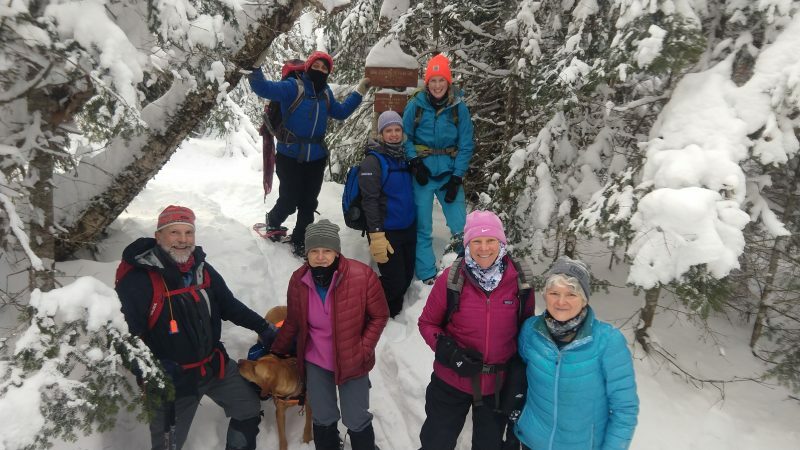 This has been the pattern so far our the Maine Appalachian Trail Land Trust’s winter hikes so far in 2019. 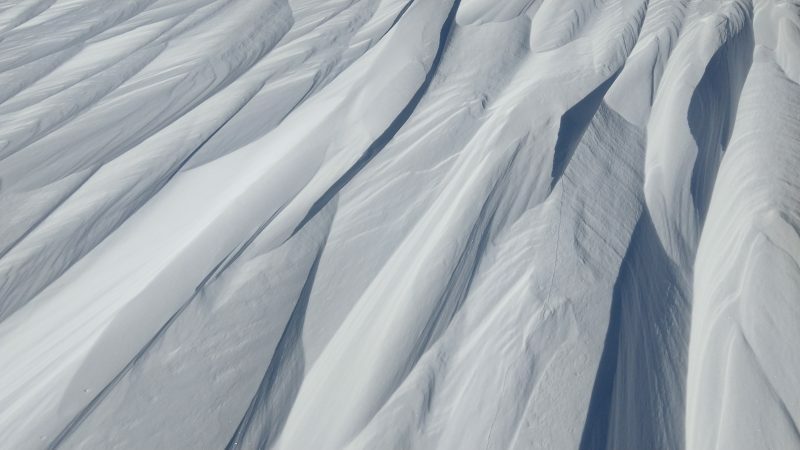 Unbroken trail, super cold conditions, illness, fatigue, freezing extremities – they’ve all played a role in our trips. West Baldpate via the Appalachian Trail was similar – half the group made it to the summit, half the group did not. Once again, the temperature was 1 degree above zero when we set out. 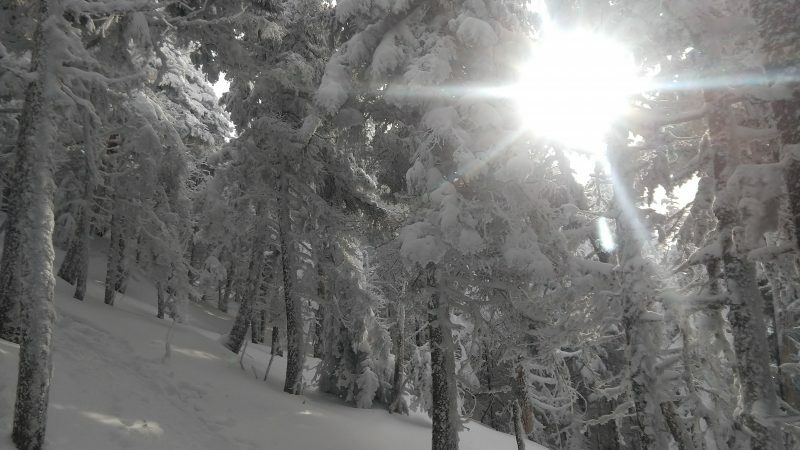 The wind chill was relatively low, however, the trail was broken out so conditions were pretty good. The group as a whole made pretty good time, but was spread out along the trail. It’s pretty steep in the upper sections of the A.T. and the conditions took their tool. Cold toes. Bad knees. Fatigue. Four made it to the top and collected the others on the way down. No regrets. And just look at the scenery! 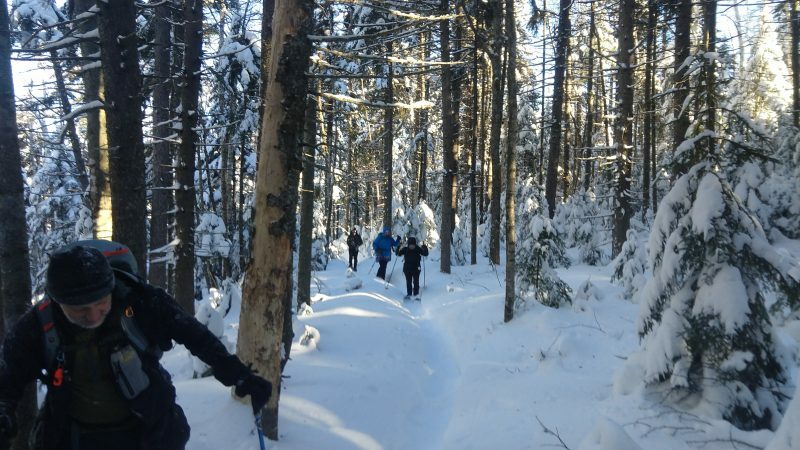 Our next hike will be Sunday, January 27th to Eddy Pond and Piazza Rock. Sign up here! Heading up in the sun. Great views northward along the A.T.
Little Bigelow is such a nice hike – great terrain, awesome views, deep woods – that this latest Maine Appalachian Trail Land Trust hike was full months ago. Then, early last week, the forecast started taking shape. A few people decided early on to drop out and seek alternate plans. A few days later, the forecast seemed rock solid: it would be cold, but the big issue would be the bone-chilling winds. A few more people dropped out. 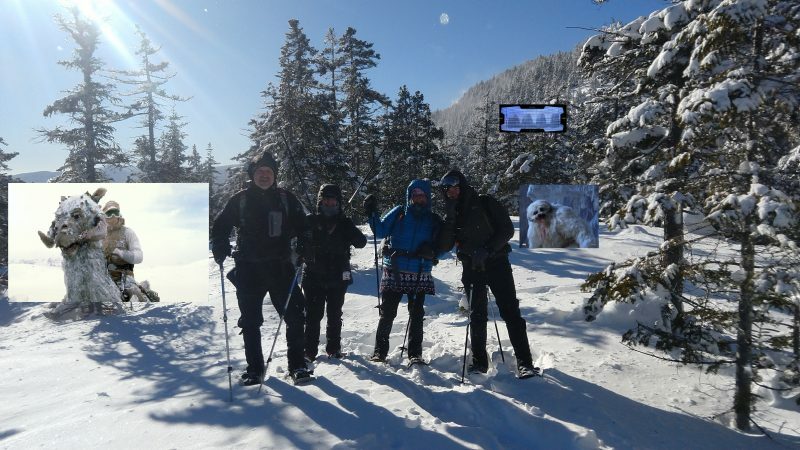 A core group of five decided to proceed with the hike and pay it by ear, knowing that the conditions would be chilly. And they were right. The coldest spot was probably the parking area on East Flagstaff Road when everybody was gearing up. It was about 0 degrees and would remain there for the rest of the day. The group was adequately covered and layered so everything went pretty smoothly in the sunny woods. There was a fresh foot and a half of snow to be broken through, on top of a few feet that was already there, so it was not a speed hike. At higher elevations past the junction with the A.T. shelter side trail, conditions were much colder and the winds had yet to diminish. Despite adequate footwear and even toe warmers, feet started getting cold and not warming up. Everybody knew at that point that we’d at least reach the open ledge below the summit of Little Bigelow, but not the peak itself. Which was fine! It was a great day out on the A.T. and we all had fun. 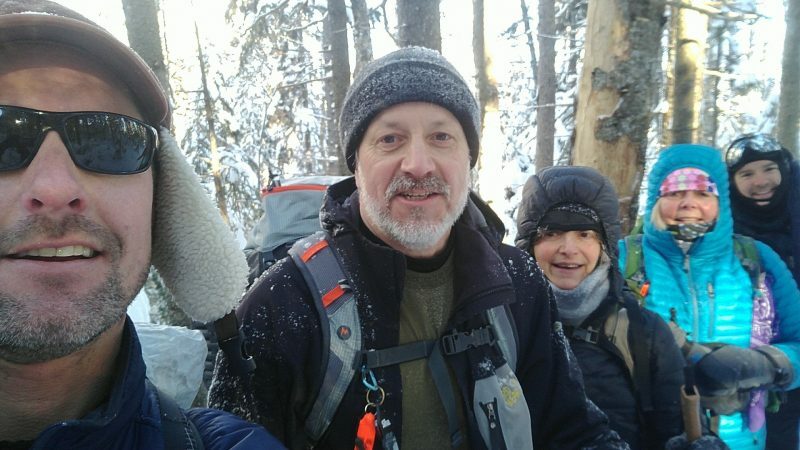 Our next hike will be on Saturday 1/19 up West Baldpate in Grafton Notch. Still a few spots left! 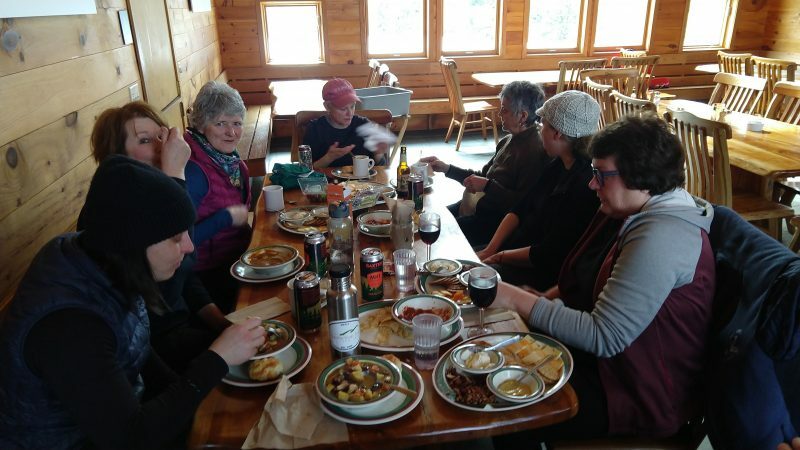 The Maine Appalachian Trail Land Trust is pleased to announce that the organization is the recipient of a Maine Community Foundation Fund for Maine Land Conservation grant for 2019! 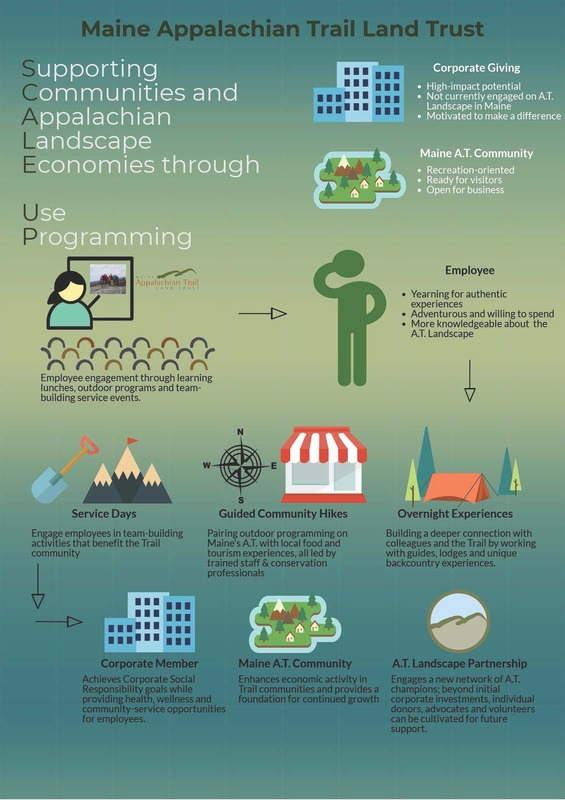 The SCALE UP program aims to engage MATLT’s corporate members by directly connecting these companies and their employees, officers and partners to the A.T. landscape in Maine. We’ve had great success with the program so far, in its first year, and we’re hoping to continue it beyond 2019! 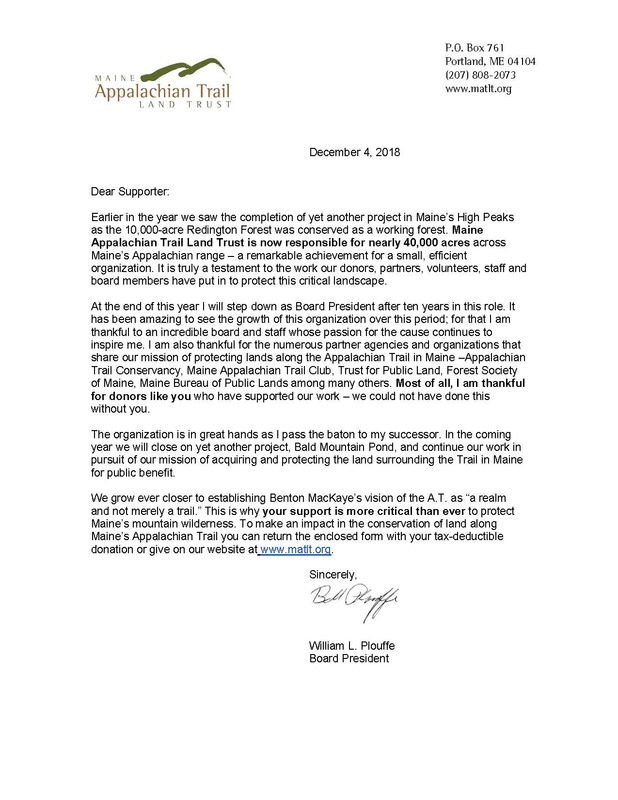 The Maine Community Foundation, now in its 35th year, works with donors and other partners to improve the quality of life for all Maine people. The community foundation is committed to serve all of Maine; demonstrate respect for people and places; achieve quality and integrity in everything we do; and remain nonpartisan. MaineCF is committed to equality, diversity, and inclusion, and ensuring Maine is a safe, welcoming, and accepting place for everyone. The Fund for Maine Land Conservation supports projects that advance land conservation. 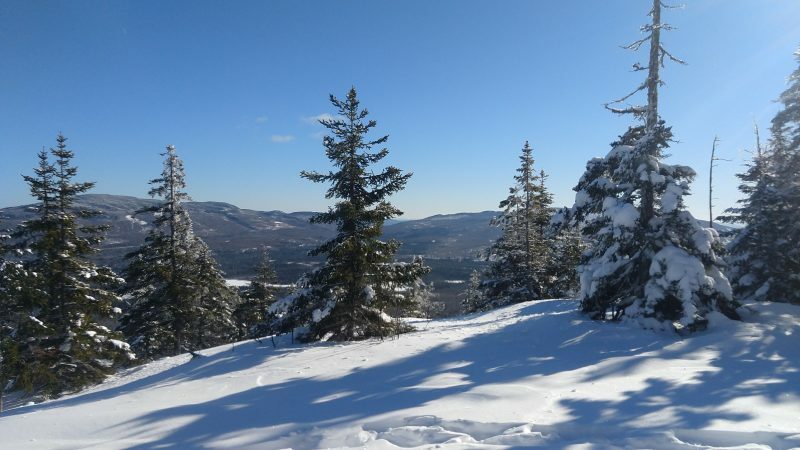 The latest Maine Appalachian Trail Land Trust hike was up Caribou Mountain in the White Mountain National Forest. We had a nearly-full hike of nine and everybody was ready to hit the trail. It’s been a cold fall/early winter and conditions have been snowy in the mountains since mid November, but our hikes were scheduled before that so we’ve been wanting to get out too! 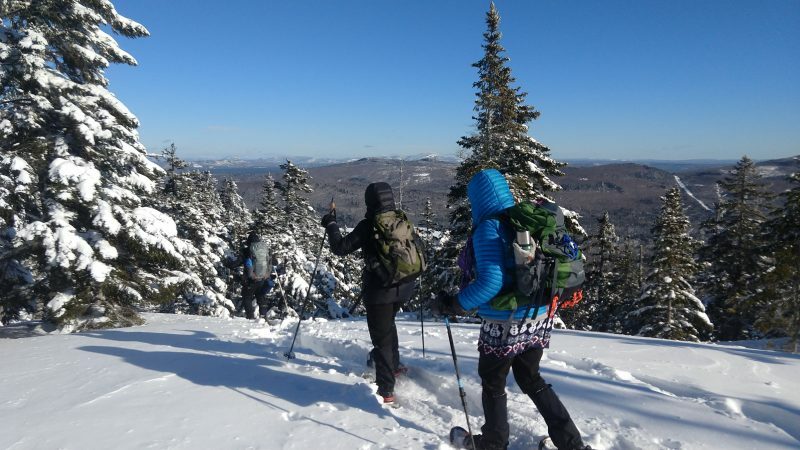 Unfortunately, conditions were not ideal for this hike and the group did not reach the summit. 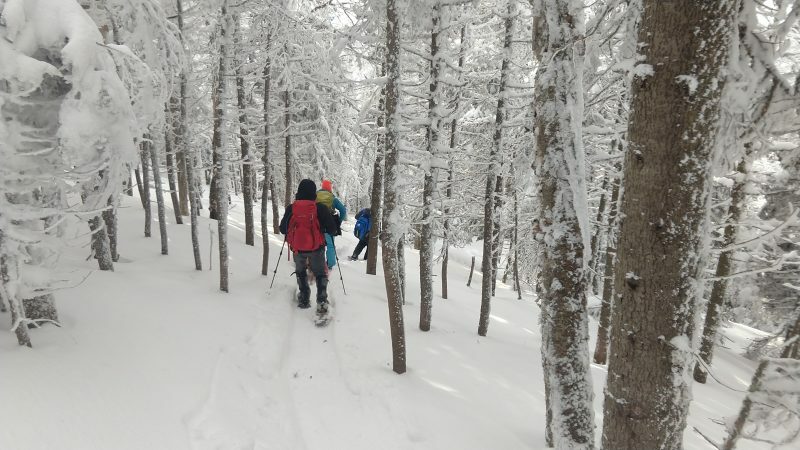 The snow was soft and the trail was unbroken so the group was slowed down considerably. One hiker started feeling under the weather about halfway up and she was accompanied back to the cars with a trip leader. 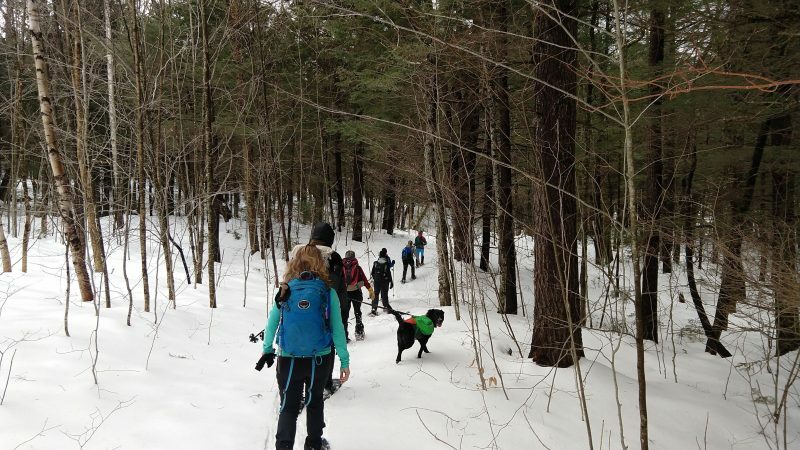 The rest of the group kept going but spent too much time trying to find the trail since, as per Forest Service policy, the trails in the Caribou-Speckled Mountain Wilderness Area are not blazed very well. It was still a nice day to get out with some great people. 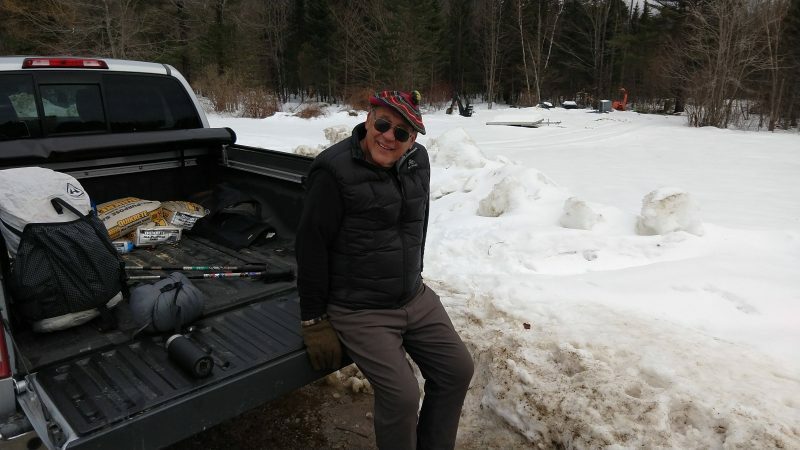 We met the owner of Pooh Corner Farm, Richard Duplessis – it is through their generosity that hikers are able to park on their driveway in winter! 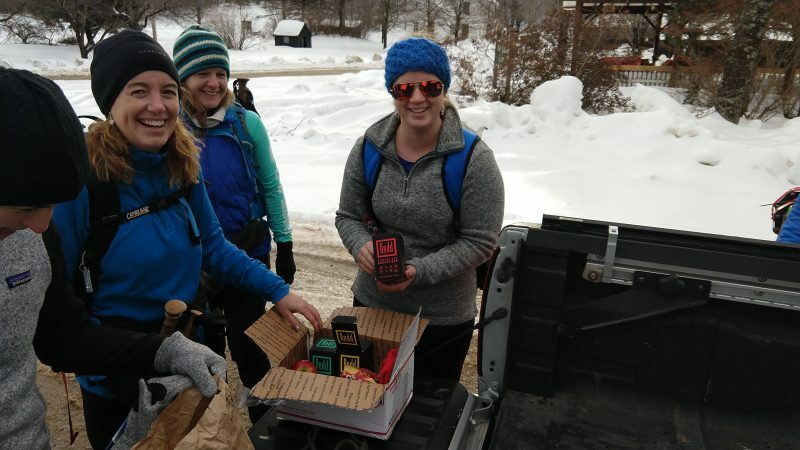 AND, thanks to our community partners for this hike (Rosemont Market & Bakery and REDD) we had some awesome munchies to fuel up with. Stayed tuned for our next hike up Little Bigelow Mountain! 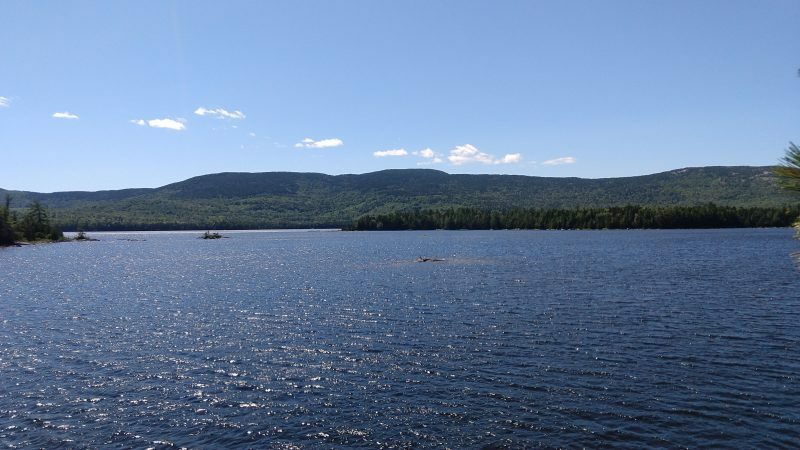 The Maine Appalachian Trail Land Trust is pleased to announce that we have received a grant of $14,000 from the Fields Pond Foundation for our work on the Bald Mountain Pond project! 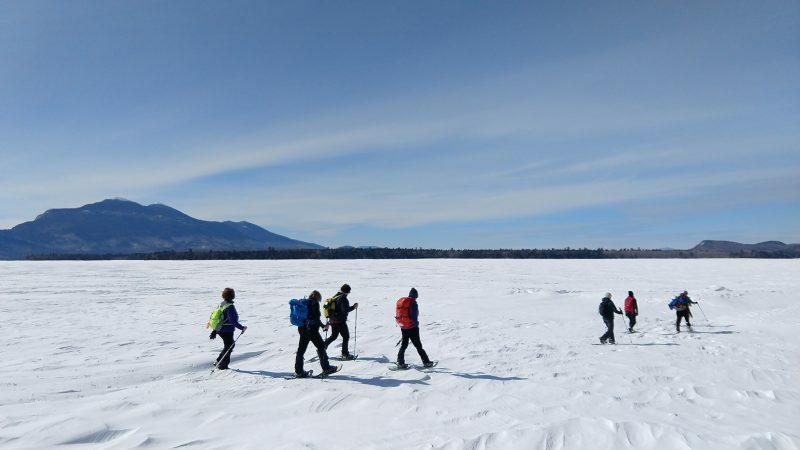 The project is on track to be completed in the spring of 2019; the Maine Appalachian Trail Land Trust is working with The Trust for Public Land and Maine Department of Inland Fisheries & Wildlife on finalizing the details. The primary mission of Fields Pond Foundation is to provide financial assistance to nature and land conservation organizations that are community-based and that serve to increase environmental awareness by involving local residents in conservation issues. The Foundation’s emphasis stems from its founding Directors’ beliefs that the conservation of special places in our environment, and providing public accessibility to those conservation areas, is a desirable end in itself; but it is also a means of building public support for future land and river conservation by increasing the direct connection between individuals and their environment, and fostering active participation in the work of conservation. Thank you to the Fields Pond Foundation for this support! Grants like this are vital to conservation organizations and ensure that we can protect special places along the Appalachian Trail in Maine – for public benefit! 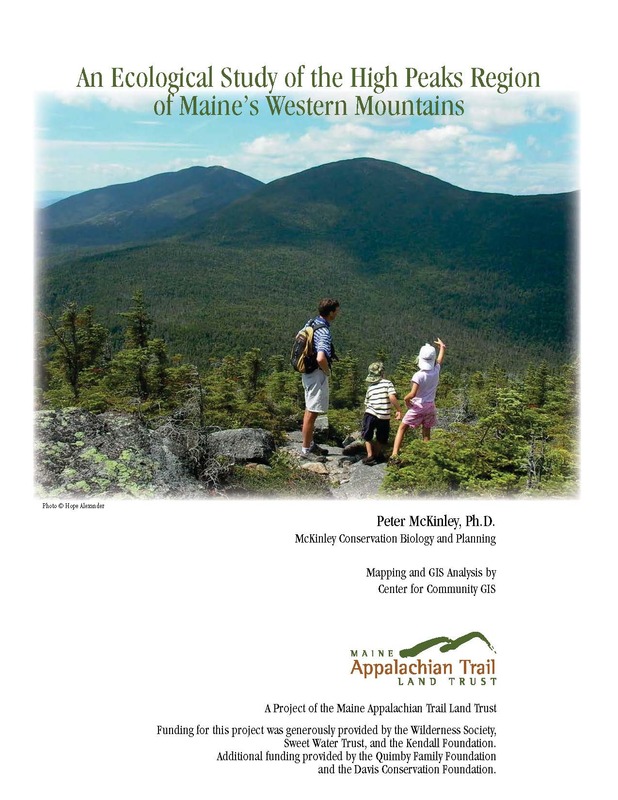 The Maine Appalachian Trail Land Trust is pleased to announce that plans are in the works to update and revised the groundbreaking ecological report on Maine’s High Peaks which was first issued in 2007. 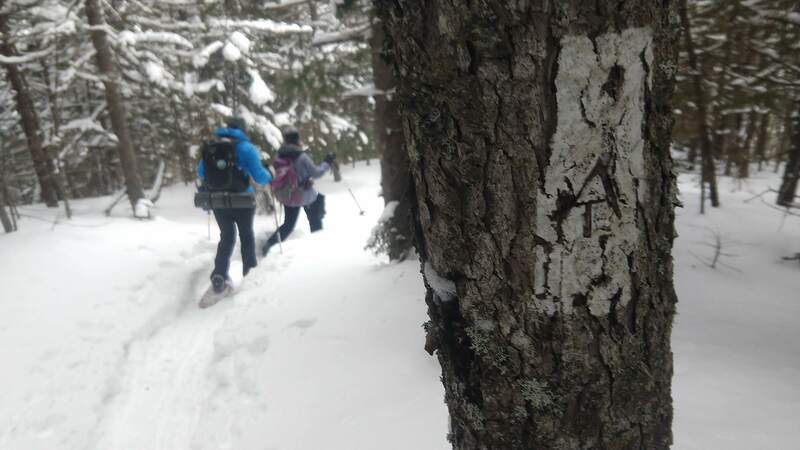 The report has guided conservation efforts along Maine’s Appalachian Trail for over a decade and with recent and upcoming land protection projects, the time has come to evaluate the status of the Appalachian Trail landscape in Maine. Old threats have waned but new threats have emerged to threaten the integrity of the A.T. Outdoor recreation and the economic impact it can have, along with climate change mitigation, destination development and health/wellness issue have all emerged since the initial publication of the report. We will have further updates on when the study will be re-released! Stay tuned.